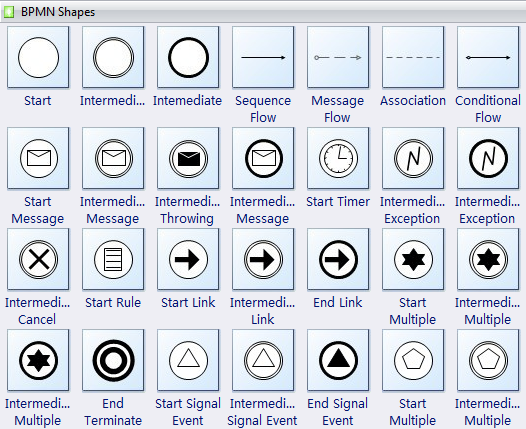 Edraw is used as a bpmn diagram software coming with ready-made bpmn diagram templates that make it easy for anyone to create beautiful bpmn diagram. 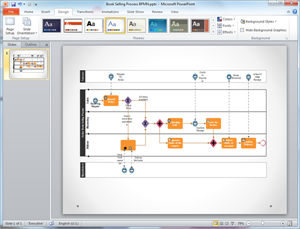 The bpmn diagram templates are easy to use and free. Edraw can also convert all these templates into PowerPoint, PDF or Word templates. 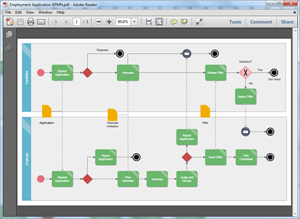 Creating a bpmn diagram in Edraw is easy. It only takes a few seconds to choose a basic template, insert text and symbols, and personalize the appearance. 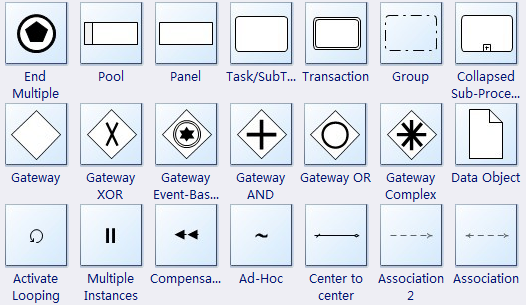 If you want to use a ready made template, go to bpmn diagram templates page and choose the BPMN Diagram that best suits you. When you finish creating your bpmn diagram in Edraw, one click on the Export button will transfer your drawing into MS PowerPoint presentation. 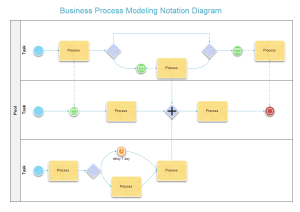 You need to consider few things when creating a bpmn diagram to represent a business process in a graphical manner. In order to save the template as a design template, you need to download Edraw and edit it. All templates in the software gallery windows can freely change color, theme and effect. All are simple, a single click on the Export PDF button will convert your bpmn diagram template into PDF, and with no quality loss. 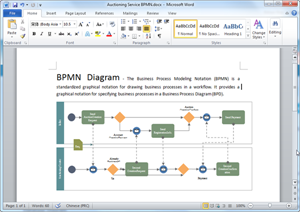 You can open the PDF BPMN Diagram Template to view the quality.